One of the biggest problems with the idealized vision of romance promoted on Valentine’s Day is that it can breed discontentment. How many times has Valentine’s Day left you disappointed because it didn’t measure up to everything you were hoping for? If only he were more romantic…. If only she were more adventurous…. If only he were more spontaneous…. If only she had more time for me…. Instead of recalling all the ways your spouse has failed to meet your expectations, It’s time to give thanks. We need to learn to give thanks for the people our spouses are today, instead of continually fantasizing about what we wish they would become. I’ve realized that even coveting an idealized version of the man I am married to amounts to discontentment. Instead, I need to discipline my mind and heart to take note of the things I can give thanks for in my husband as he is right now. I Thessalonians 5:18 says, “in everything give thanks; for this is God’s will for you in Christ Jesus.” Since giving thanks is clearly God’s will for me, I can rely on Him to help me recognize and focus on the great things about the husband He’s provided for me, as he is right now. Regardless of what your spouse does or doesn’t have planned to do for you on Valentine’s Day, I bet there are at least five things about him or her that you can thank God for. The next time you are tempted to grumble about the person God has given you, take out this list and pray through it again. Who knows? For Valentine’s Day, you might even want to share your list with your spouse! Stay tuned this week for five more practical habits that can empower you to effectively fight back-to-back with your spouse. 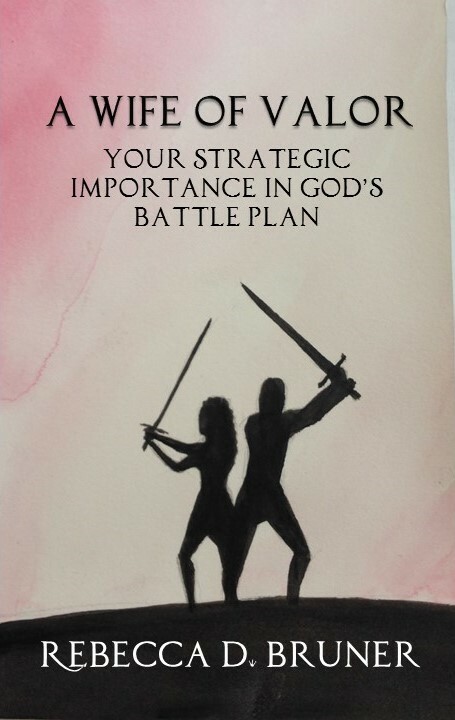 These are taken from my upcoming book A Wife of Valor: Your Strategic Importance in God’s Battle Plan. This entry was posted in crowd funding, Gratitude, Indiegogo, Love, Marriage, Valentine's Day, Wife of Valor, Writing and tagged Give Thanks, Indiegogo, Valentine's Day, Wife of Valor. Bookmark the permalink. After 32 years of marriage I endorse what you’re saying completely! After being married for about 4 years and seriously thinking about divorce, I was part of a Bible study that had you make a list of the good things about your husband. As I reached the second page on my list, I realized that maybe he wasn’t the problem, but my unrealistic expectations were. Our marriage changed from that point on, and after 32 years, we are not only still together, we still like each other an awful lot! Those of us long married, like you and I know the verse about a woman building a house or tearing down with their own hands has a lot of truth. I’m excited about this book and you’re encouragement for women to “build their house”.